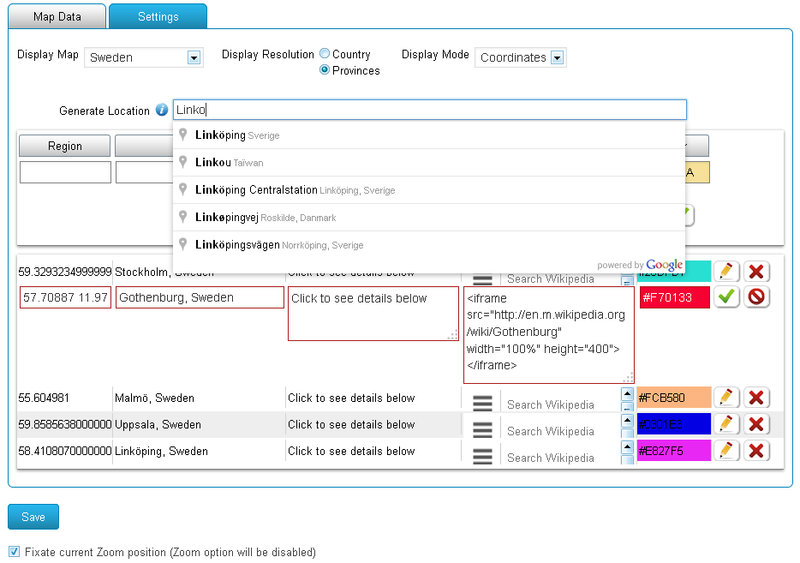 Interactive Map of Sweden for WordPress with Google Geochart (Interaktiv karta över Sverige). This Google map of Sweden uses new “fixate” function of the plugin, which allows to zoom map to any position and fixate it. This function practically allows users to display zoomed map of any country’s region(s), or zoomed map of several neighbouring countries.